We are a Latrobe dental practice devoted to restoring and enhancing the natural beauty of your smile using conservative, state-of-the-art procedures that will result in beautiful, long lasting smiles! At our conveniently located dental office in Latrobe, we offer a variety of family and cosmetic dentistry to serve all your dental needs. Every staff member in our Latrobe dental practice recognizes their ability to enhance the lifestyles of our patients. As lifestyle enhancers, we take great pride in our ability to change the lives of our patients in a positive and meaningful way. 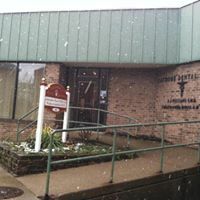 Our Latrobe dentist, Dr. Christopher Mucci, offers comprehensive dental services like, Cleaning and Prevention, Cosmetic Dentistry, Periodontal Care, Restorations, Orthodontics, Teeth Whitening, Dental Implants, and Pediatric Dental Care.